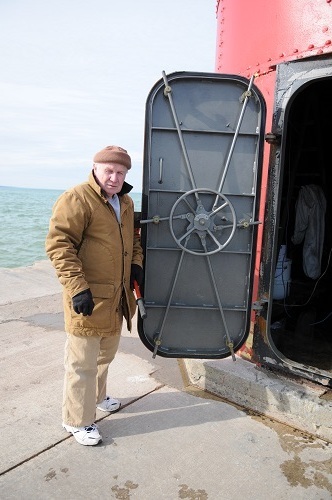 Newschannel 3 story, 9/2/2015, about the South Haven Lighthouse. SOUTH HAVEN, Mich. (NEWSCHANNEL 3) – It’s a building that’s closely linked to the scenic beauty of West Michigan. 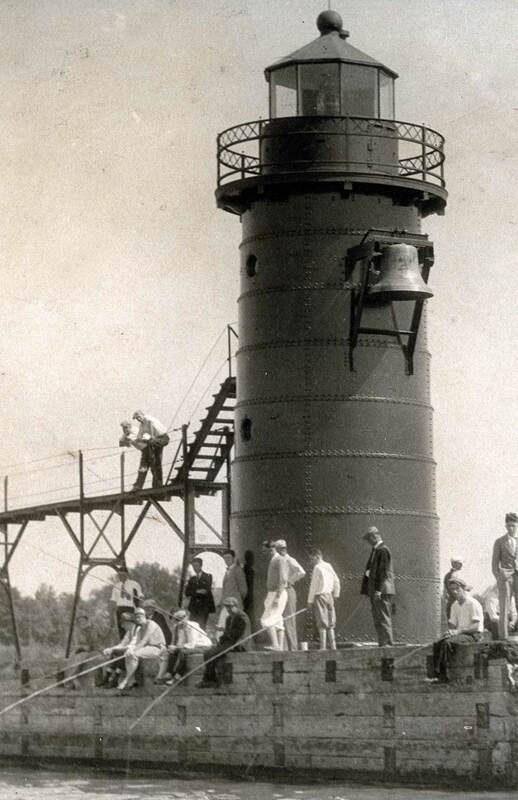 But we’re finding out that the South Haven Lighthouse has fallen on hard times. 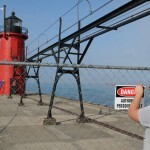 Newschannel 3 got an exclusive inside look at the lighthouse, and found out what’s being done to save it. 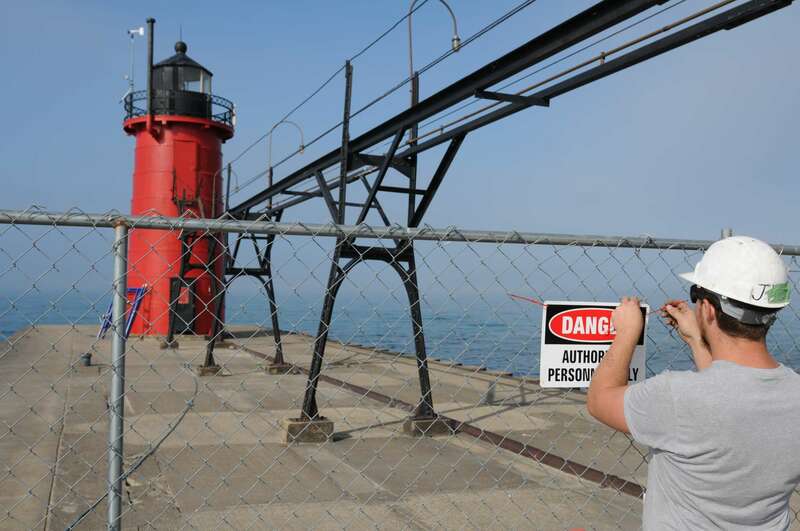 “There are thousands of people out there every day during the summer and they’re having family pictures taken there, selfies taken there,” said Jim Ollgaard, President of the Historical Association of South Haven. 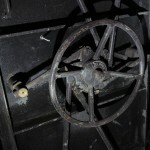 But while people are out adoring the historic lighthouse, they might be surprised by what’s inside. 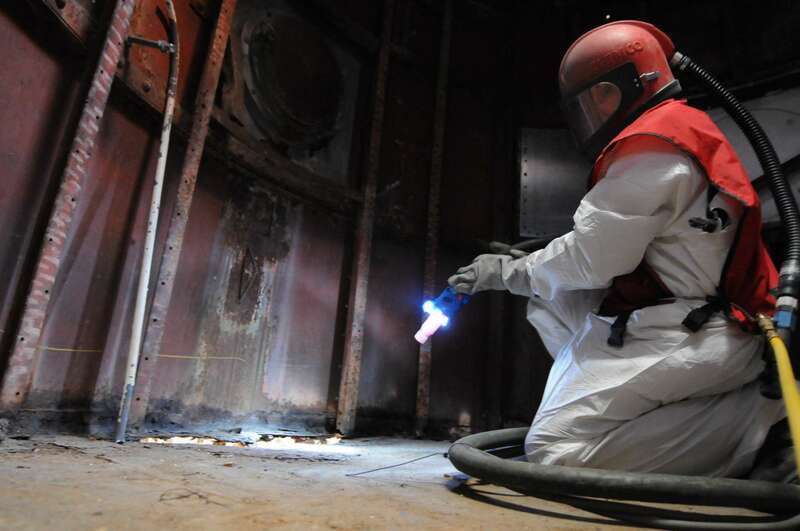 “It’s rusting, literally from the inside out. 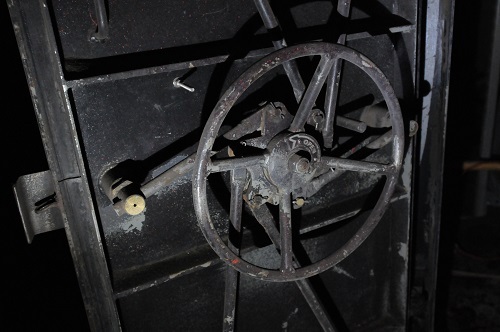 The floors inside the lighthouse are rusted through, the light room has rust all around the windows, and the walls are rusted,” Ollgaard said. Because of safety concerns, the interior of the lighthouse building is not open to the public. You have to climb up two different ladders and step carefully around rusty floors to get to the top. After squeezing through a little door, you can gain access to the balcony around the light, taking in beautiful views of the lake and pier. The lighthouse was decommissioned by the federal government and handed over to the historical association in 2012. 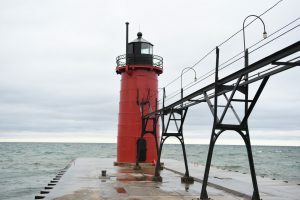 “Part the agreement with the federal government is that we’d mount a campaign to restore the lighthouse,” Ollgaard said. Right now they’re $40,000 short on their $300,000 goal. “It’s a little bit of struggle toward the end, of course, because a lot of people have already donated. But we’re reaching out to others, and we’re optimistic we’re going to get the funds we need,” Ollgaard said. The caretakers need to battle decay before it gets too late. 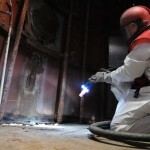 They want to reinforce the structure, along with getting rid of the rust, lead paint and asbestos. The lighthouse is more than a tourist attraction. It still has a functioning beacon that boaters depend on. There is also a weather station and fog horn at the top of the building. 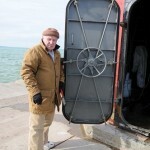 Guarding the shores of South Haven for 112 years, it would be hard to imagine the town without it. “It’s a landmark. We’re a tourist destination, so it was imperative that we do something,” Ollgaard said.